Hooded Insulated Softshell Jacket with left front and full back embroidered logos. 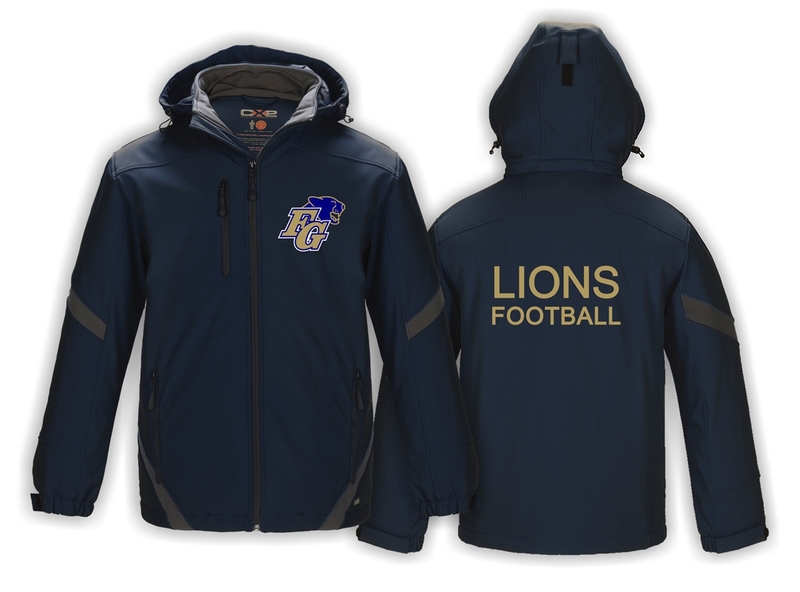 Hooded Insulated Softshell Jacket with left front and full back embroidered logos. Available in Navy/Grey. Available Adult SM - XXXXL. Right sleeve embroidered Number and Position included in price.